An entrepreneur and investor for over 25 years, Scott is a frequent lecturer at entrepreneurship and innovation conferences worldwide. His passion for startup companies began with TheGlobe.com in New York, where Scott served as director of business development focusing on domestic and international strategic initiatives in preparation for The Globe’s initial public offering. Scott was awarded the prestigious Javits Fellowship at Columbia University in New York and conducted advanced research in technology and digital media while serving on the Technology and Communications Committee of the U.S. Senate. He received a Master’s Degree with honors in Technology, Digital Media & Entrepreneurship from Columbia University. Scott also graduated Phi Beta Kappa from Tufts University. He has worked on technology projects and initiatives at the U.S. Senate, United Nations, Harvard University, Fulbright Committee, and the Columbia Center for New Media. In addition to his professional achievements, Scott coordinates and participates in several local and national charity events. Scott is also a co-founder and inventor of RainGlobes, a patented product sold at over 250 retail locations and online through RainGlobes.com and the Amazon.com marketplace. Scott participates on the boards and advisory boards of several companies and nonprofit organizations. He was a recipient of the Puget Sound Business Journal’s “40 Under 40” award. Scott was also named a Fulbright Scholar and serves as a Fulbright ambassador and lecturer specialist on entrepreneurship and innovation. Born and raised in Seattle, Scott lives on Bainbridge Island with his wife Christina and their sons, JT and Erik. 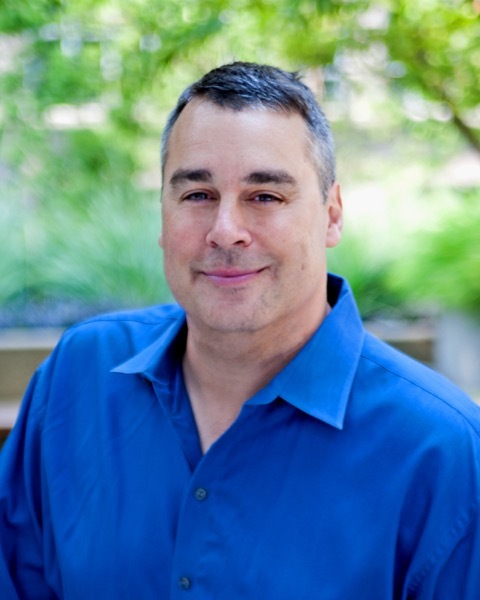 Peter is the chief executive officer of Hivemine in Seattle. Also a principal of Suma Technologies LLC, Peter has been active in a wide range of strategic initiatives with Vashon Partners in addition to his direct activities within the mobile technology field. Peter participates as an advisory board member to several early stage companies. He has extensive management and operational experience in the wireless telecommunications industry and extensive banking experience. Formerly Peter was president & chief executive officer of InfoMove, a wireless telematics company. Peter was previously the founder and president of Teletronics Management Services, a consulting firm specializing in program management and site development for wireless network operators throughout North America. Teletronics was acquired by WesTower Communications (Spectra Site), a publicly traded company. Prior to Teletronics, Peter was managing partner of Nexus Cellular, a cellular operating partnership comprised of senior McCaw Cellular executives in rural Tennessee which was sold to Contel/GTE. Peter began his career in cellular at McCaw Cellular (acquired by AT&T) during the early days of the US cellular market with their acquisitions group. While at McCaw, he was involved in a wide variety of business activities and worked directly with Senior Management of McCaw Cellular. Peter was a founding member and past president of the Young Entrepreneur's Forum (now called EO) in Seattle. EO is an organization designed to help business owners as a global community that enriches members’ lives through dynamic peer-to-peer learning and once-in-a-lifetime experiences. A graduate of the University of Washington with a BA in Economics, Peter was born and raised in Seattle and remains a longtime skiing, boating and wine enthusiast. Paul is the founder of Parallel 48, a business consulting firm working with several startup and early stage companies. Paul’s focus is strategic planning, business development and marketing. Prior to forming Parallel 48 in 2004, he was vice president marketing for Altamont Group, a private investment firm with ownership and management of 35 Hotels, resorts and boutique properties. Paul was previously at Global Leisure, a pioneer of the leisure travel industry. As a member of the executive team, he helped shape and advance mergers and acquisitions, and led a joint partnership initiative with Costco. In addition he was responsible for marketing, product development and online booking technology. Paul has held business development positions at UAL and HNA, and is adept at working with cross-functional teams on international expansion strategies. He is well known for diving deeply to fully understand the key inputs of a business and critically evaluating its performance. A graduate of Worcester College with a BA in Economics and Management, Paul lives in his adopted hometown of Seattle with his wife Karin and daughter Samantha. Paul pursues most all outdoor activities available throughout the beautiful Pacific Northwest. With 20+ years of information technology experience, Nate was chief technology officer of WineBid.com. He worked with The Walter Group Inc. (TWG) and its associated entities for over 15 years. Nate was the technological visionary for many of the TWG's success stories. He has designed and maintained all internal and external systems for TWG's group of companies, with offices across the nation and world. Nate has consulted on projects all over the United States and in Mexico, Iceland, Hong Kong, and Brazil. Nate has also consulted with the Bill and Melinda Gates Foundation and has extensive experience in technology infrastructure management. Nate received his MBA from the University of Washington's Management Program (TMMBA) as a member of the first TMMBA class. Prior education includes a B.S. in Mechanical Engineering from the University of California at Santa Barbara and an A.A.A with honors in Video and New Media Technology from the Art Institute of Seattle. Born and raised in Seattle, Nate lives in Leschi with his wife Vivien and their sons, Tyler and Jack.